To finish out the year, we’re offering the top 25 albums from various SPIN staffers. Here we have Associate Editor Andrew Unterberger. 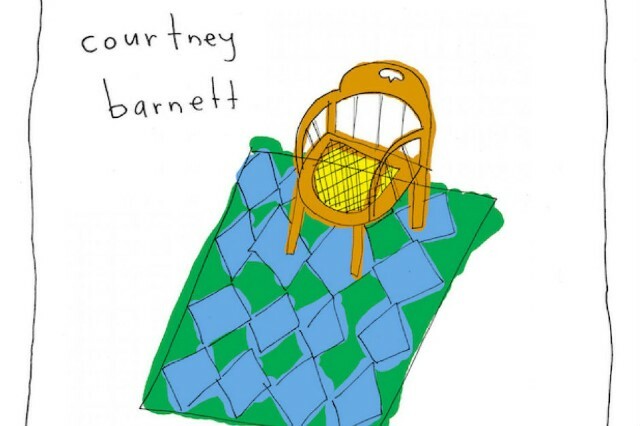 My prevailing memory of being a music writer in 2015 will undoubtedly involve me arguing with the rest of the SPIN office about whether we should’ve given our first perfect ten score in years to Courtney Barnett, Kendrick Lamar, both, or neither. I said Courtney, they said Kendrick — I was several thousand miles away at SXSW and was ultimately outvoted. Eventually, the Kendrick album grew on me enough that today I’d probably say both. Or just Kendrick. Or neither. Or maybe that rewarding albums numerical grades is meaningless and that we’d all be much happier only sharing our opinions on the year’s biggest albums through meaningful glances with our loved ones during moments of deep personal connection. But almost definitely Courtney. That album’s great. Elsewhere, I finally connected with a couple of indie-rock institutions that I’d long shrugged at with Tame Impala and Deerhunter (and a third, Elliot Smith, through my much more profound love for spiritual quasi-successor Alex G). I had my most visceral listening experiences either through back-to-basics rock acts that channeled Paul Westerberg (Beach Slang and Dyke Drama) or sonically violent electronic acts that channeled the bile they felt coursing through their veins (Rabit and Prurient). I stepped outside with Vince Staples and shut the blinds with Earl Sweatshirt. I listened to The Most Lamentable Tragedy enough that I could probably adapt the album’s feature screenplay at this point. Rami Malek would probably make a solid Patrick Stickles. Looking forward to the view from 2016. 17. Juan Wauters, Who Me?